The government has earned close to 66 trillion rial ($6.6 billion) directly and indirectly from services provided by second mobile operator Irancell in the past six years. Speaking at a press conference on Sunday, the managing director of second cell phone operator said Irancell, accounted for 45 percent of Iran's cellphone market during the current Iranian year (started March 21). Alireza Qalambar Dezfuli explained that Irancell has so far transferred close to 35 trillion rials ($3.5 billion) directly to state treasury. It has paid close 13 trillion rials ($1.3 billion) to the treasury during March 21-Sept. 22. The second cellphone operator has generated over 35,000 direct and indirect jobs, of which 1,760 are direct, he pointed out. The number of cities covered by Irancell currently stands at 1,874 by September 23, he said. 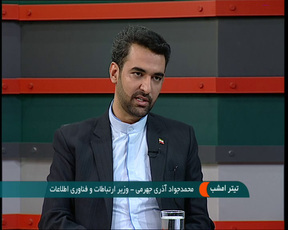 Irancell network covers 80 percent of the country's population, he explained. It covers 22,000 villages and over 20,000 km of main and subsidiary roads, which exceeds the target of 9,000 km, he elaborated. Pointing to investment made by cellphone operator, he said "We will witness a 32-trillion-rial ($3.2 billion) investment growth by Irancell inside the country." In addition, close to $12 billion foreign investment will be made, he mentioned. On international roaming of Irancell, he said the company has established roaming links with 287 global operators in terms of permanent SIM cards. Also, it has inked contracts with 86 operators for prepaid SIM cards, he stated. Currently there are close to 175,000 WIMAX subscribers across the country, he said, adding WIMAX services are offered in 25 cities. He continued that Irancell services are offered via 20 agent banks across the country.